The Tri-State district was an historic lead-zinc mining district located in southwest Missouri, southeast Kansas and northeast Oklahoma. The district produced lead and zinc for over 100 years. 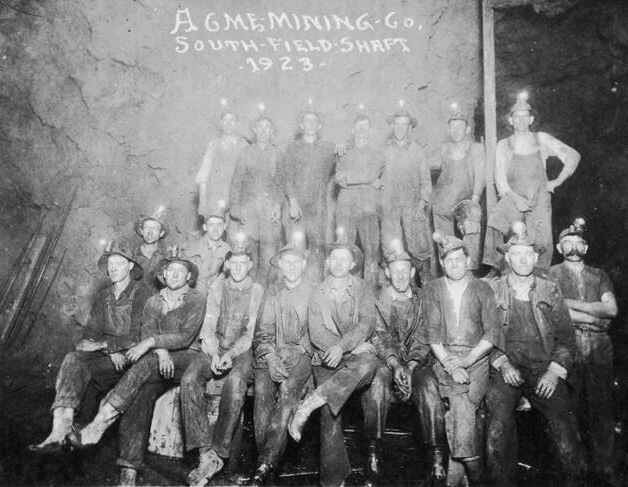 Production began in the 1850s and 60s in the Joplin - Granby area of Jasper and Newton counties of southwest Missouri and continued until the closure of the Picher, Oklahoma mines by 1970. 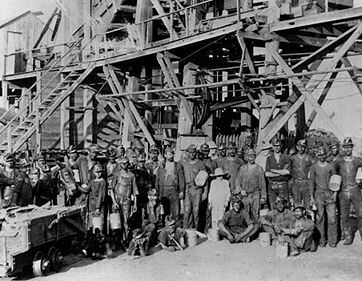 In 1913, as the Tri-State district expanded, lead and zinc ore was discovered on Harry Crawfish's claim and mining began. A townsite developed overnight around the new workings and was named Picher in honor of O. S. Picher, owner of Picher Lead Company. 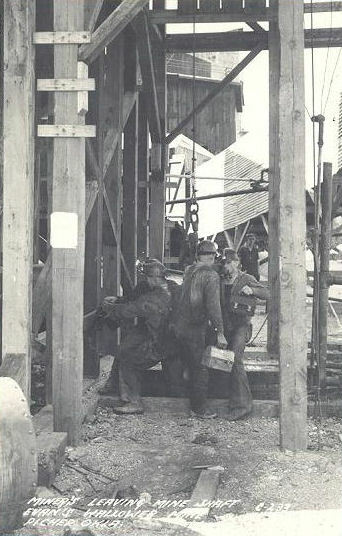 The Picher area became the most productive lead-zinc mining field in the Tri-State district producing over $20 billion worth of ore between 1917 and 1947. 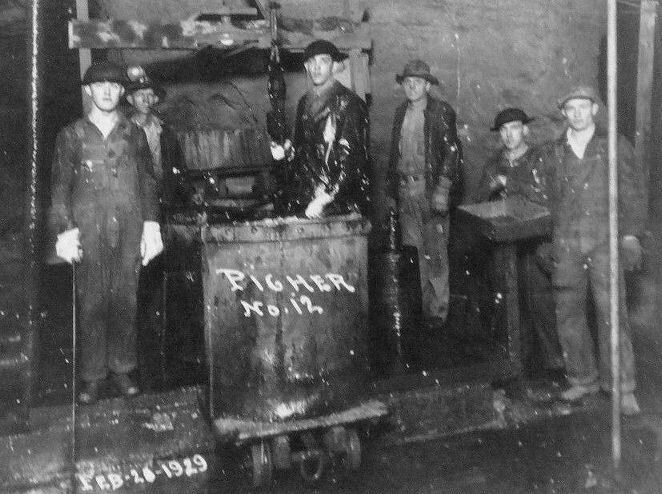 More than fifty percent of the lead and zinc metal used during World War I were produced by the Picher district. 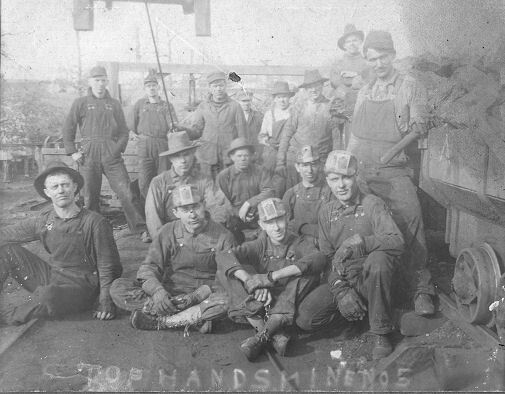 At its peak over 14,000 miners worked the mines and another 4,000 worked in mining services. Many of these workers commuted by an extensive trolley system from as far away as Joplin and Carthage, Missouri. The Picher Mining Field is located in southeastern Cherokee County, Kansas and northeastern Ottawa County, Oklahoma. Approximately 45 sections in T28N-29N, R22E-R24E, contain mine workings in the Oklahoma portion of the field. Up to 30 percent of the mining field in Oklahoma was located on restricted Indian lands requiring lease arrangements managed by the U. S. Department of the Interior (DOI). 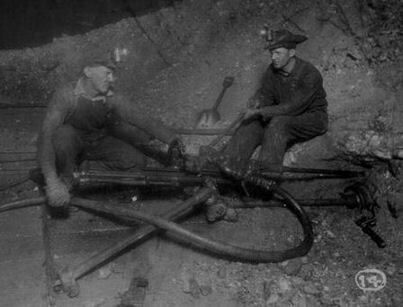 DOI lease restrictions required more mine shafts and mills to be constructed than was necessary to remove and mill the ore. During the mining period 1891-1970 U. S. Bureau of Mines records show that 181,048,872 tons of crude ore were removed from the mines producing 8,879,818 tons of zinc and 1,679,222 tons of lead concentrates. The remaining 170,500,000 tons consisting of mine and mill tailings were spread over approximately 7,000 acres. Mining practiced in the Picher Mining Field is commonly referred to as random room-and-pillar mining where rooms were excavated and pillars were left to support the mine roof. 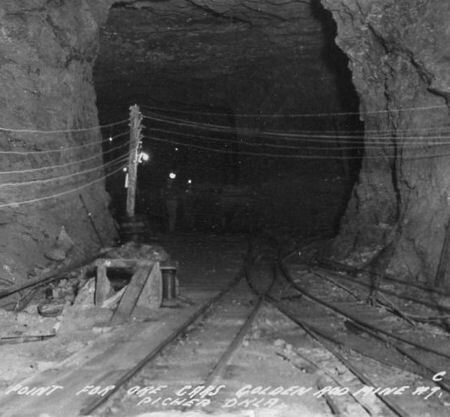 Approximately 1,200 vertical mine shafts between 90 and 350 feet were sunk to intercept the main ore horizons. Milling depended primarily on specific gravity methods, including jigs and tables. 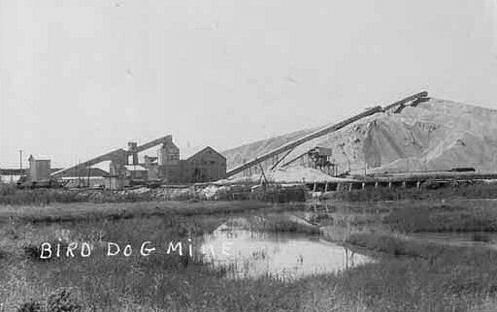 In the 1920s the flotation process became the primary means for extracting concentrates from the finely ground ore remaining from the initial milling process and remilling tailings. 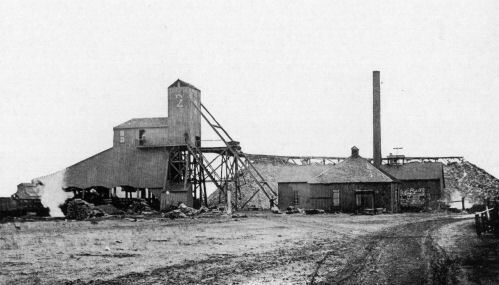 By the late 1920s, 227 mills were operating in the mining field. 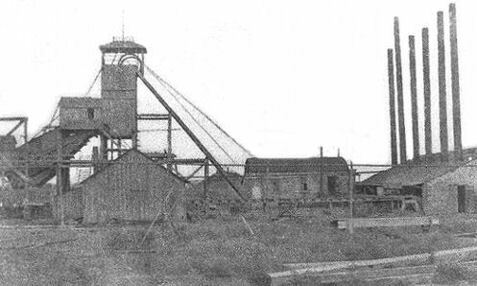 By the late1930s most of the higher grade ore had been mined and most tailings piles remilled. Several central mills were built to replace the smaller, less efficient mills in order to extend the life of the field. 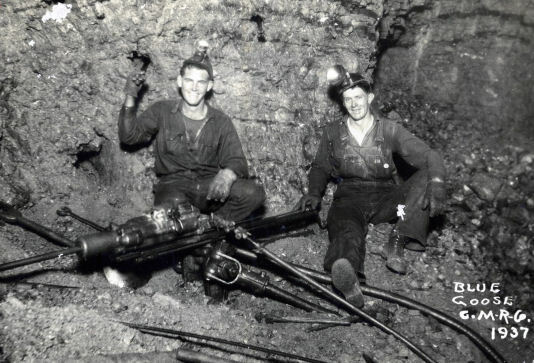 The amount of ore mined annually continued to decrease in the 1950s and 60s until 1970 when all mining ceased and all pumps were removed from the mines. The abandoned mine workings continued to fill with water until 1979 when the entire underground workings in the field were flooded. Oklahoma lies in the Western Region of the Interior Coal Province of the central United States. 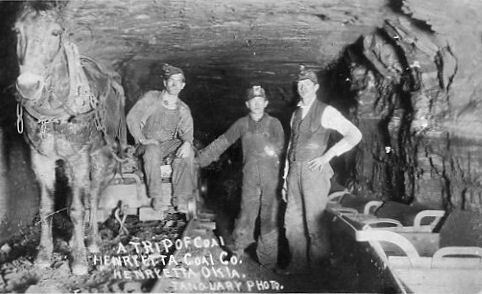 In Oklahoma coal of the bituminous variety was first mined commercially in 1873. Most, if not all, of the coal produced in the state has been mined from a 14,500-square-mile area extending from Kansas through northeastern Oklahoma and eastward through central Oklahoma to Arkansas. Over the period of years from 1873 through the 1980s twenty-four named beds were identified in nineteen counties of eastern Oklahoma. 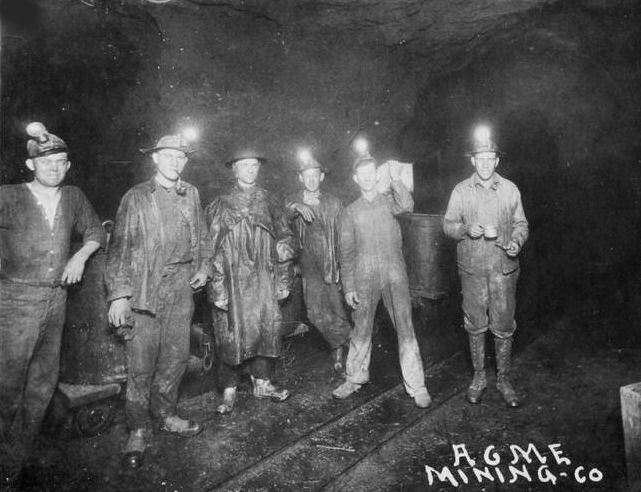 Underground or shaft mining predominated from the 1870s through the 1960s. 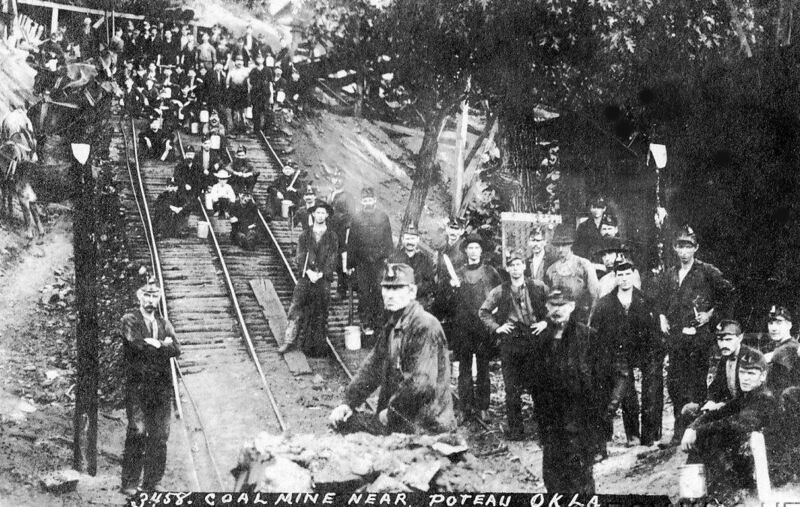 Overall, from the 1870s to the 1980s more than 200 million tons of coal came out of Oklahoma's mines. If the development of Oklahoma's coal mining industry can be attributed to a single person, that person was James J. McAlester. After finding coal on his property and acquiring a map revealing the location of valuable coal deposits, in 1872 McAlester married into the Choctaw tribe in order to gain legal access to the deposits. He then began commercial exploitation of Indian Territory's coal deposits. When McAlester learned that the Missouri, Kansas and Texas Railway (MK&T, or Katy), a southern branch of the Union Pacific, was contemplating building a track through "Cross-Roads," where the California mail and stage route crossed the Texas Road, he promptly displayed a wagon load of the area's coal to officials of the railroad at Parsons, Kansas. "Cross-Roads," which was later to become McAlester, was where the rising entrepreneur had considerable investments. McAlester planned to convince the railroad's management of the superior nature of the region's coal, hoping it would weight the scales to his advantage. Congressional subsidies and McAlester's alluring offer of high-quality steam coal made the decision easy for the company's officials. First penetrating the region in 1872, the railroad quickly came to dominate the Indian Territory coal industry. The Katy became part of a complex web of railroads controlled by Jay Gould. When McAlester learned that the Missouri, Kansas and Texas Railway (MK&T, or Katy), a southern branch of the Union Pacific, was contemplating building a track through "Cross-Roads," where the California mail and stage route crossed the Texas Road, he promptly displayed a wagon load of the area's coal to officials of the railroad at Parsons, Kansas. "Cross-Roads," which was later to become McAlester, was where the rising entrepreneur had considerable investments. McAlester planned to convince the railroad's management of the superior nature of the region's coal, hoping it would weight the scales to his advantage. Congressional subsidies and McAlester's alluring offer of high-quality steam coal made the decision easy for the company's officials. First penetrating the region in 1872, the railroad quickly came to dominate the Indian Territory coal industry. The Katy became part of a complex web of railroads controlled by Jay Gould. 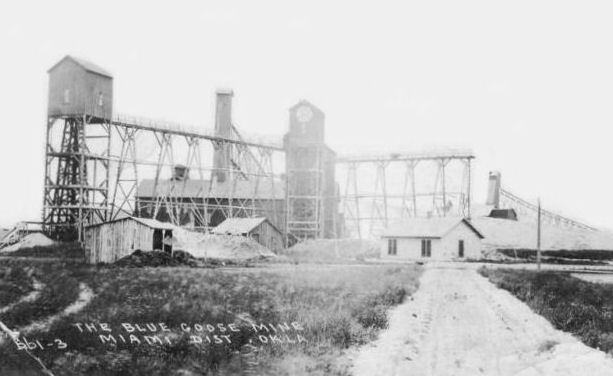 In the mid-1870s, McAlester sold his Oklahoma Mining Company to the Osage Coal and Mining Company, a larger concern that he and several partners had founded. Soon thereafter, the Katy acquired an interest in the firm and by 1888 owned it outright. 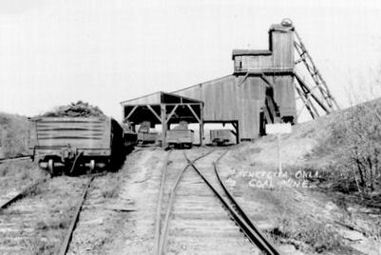 The Osage Coal and Mining Company developed mines at Krebs and McAlester. 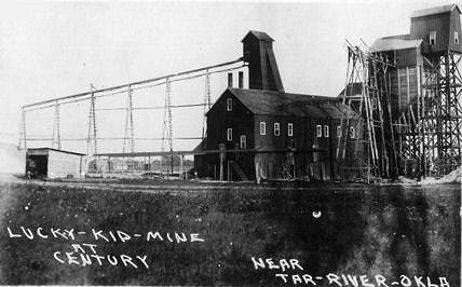 The company sold its product to the Katy and had a virtual monopoly on commercial coal mining in Indian Territory until 1881. In 1885, Edward D. Chadrick, a financier from Minneapolis, persuaded another titan of the railroad industry, the Lehigh Valley Railroad, to build a line that would tap the coalfields around Wilburton. The result was the incorporation of the Choctaw Coal and Railway Company in 1887 and the construction of a sixty-seven-mile line between Wister and South McAlester that was completed in 1890. This road permitted development of the coalfields at Wilburton, Alderson, and Hartshorne. Reorganized in 1894 as the Choctaw, Oklahoma, and Gulf Railroad Company, the line remained the territory's largest producer until acquired by the Chicago, Rock Island, and Pacific Railroad in 1902. 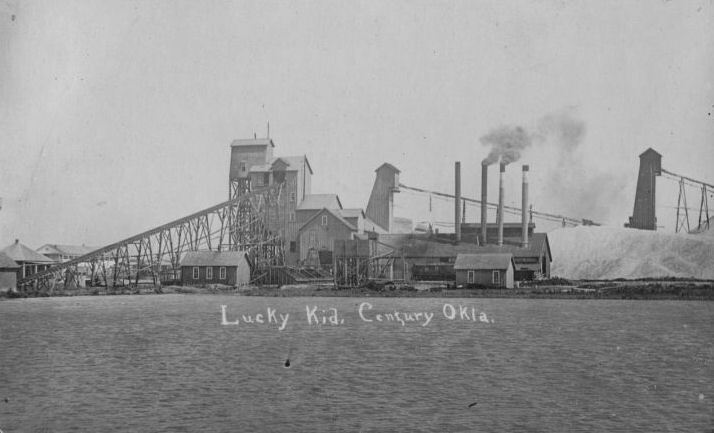 Its mining subsidiary, the Rock Island Coal and Mining Company, continued to be one of the most powerful entities in Oklahoma's coal industry until the Great Depression. 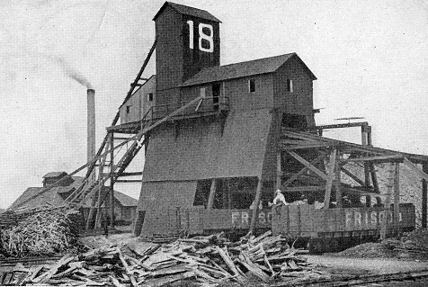 In the early evening hours of January 7, 1892, an explosion ripped through the Osage Coal and Mining Company’s Mine Number 11 near Krebs, Oklahoma instantly killing 87 miners and injuring 150 more. This was the worst mining disaster in Oklahoma’s mining history. By 1900 a well-developed railroad network criss-crossed Indian Territory. The Fort Smith and Western entered Indian Territory from Fort Smith shortly after 1900. 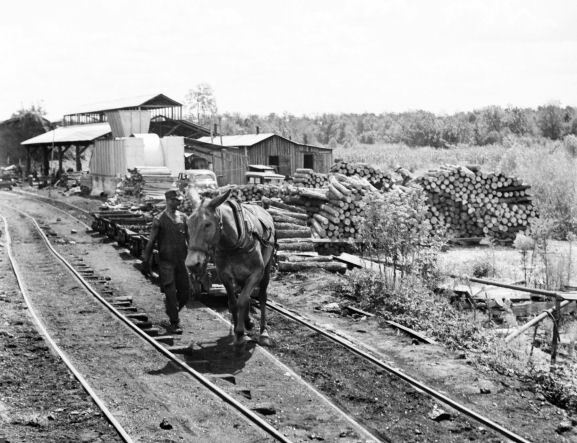 The railroad's first subsidiary, the San Bois Coal and Mining Company, operated mines at McCurtain, first known as Chant. 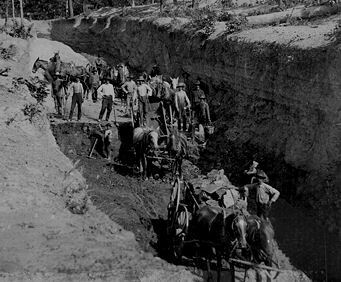 When the Denison and Washita Valley Railway Company completed a spur between Lehigh and Coalgate in 1889, it allowed the Southwestern Coal and Improvement Company to develop coal properties at Coalgate and Midway. Later, the Atchison, Topeka, and Santa Fe Railway extended its lines to Lehigh and acquired an interest the Coalgate field, one of the most important in the territory. 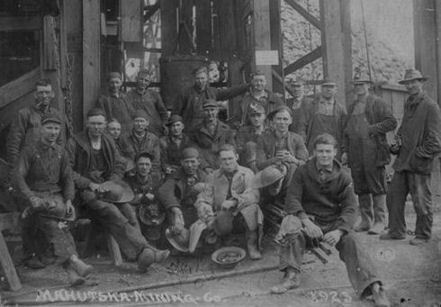 Well established by 1900, Oklahoma's coal industry prospered until the 1920s. A total 1891 production of one million tons rose to two million in 1901, to three million in 1903, and reached a peak of four million during World War I. A downturn after 1920 continued intermittently until World War II.